It is a sad but wonderful time for NFL fans. The regular season will soon be over (sad), but there should be more competitive games for fans to enjoy as teams fight to remain relevant in the playoff race. Of course, there will be some games where the team out of the race will lay down and not put up much of a fight as well as a few where the playoff-caliber team plays down to the competition. However, while there may be more entertaining games on television, it becomes a little more challenging to pick some games against the spread. Will the Cleveland Browns lay down or will they try to win a game? Can Colin Kaepernick guide the 49ers to at least one win? Will the Rams start the post-Jeff Fisher Era off right? Every question will be answered by Monday night—and a few more probably created. It would be nice to think the Rams could get off to a good start in the pot-Jeff Fisher Era, but there is no reason to believe they will. Jared Goff may turn into a fine NFL-caliber quarterback someday but so far it appears that Fisher was right—he’s not ready. 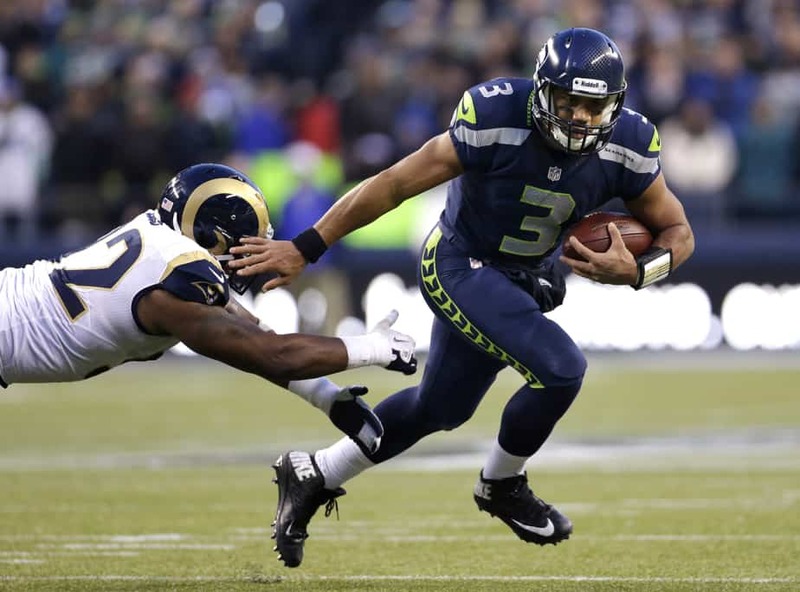 The defense will put up a fight, but Russell Wilson and the rest of the Seattle offense will be just a little eager to prove last week’s pathetic showing against the Green Bay Packers was the exception and not the rule. Seattle may have the spread covered in the first quarter. This one becomes a little tougher with the quarterback issues both teams are facing. Bryce Petty appeared to get a few things figured out in the second half against the 49ers. But he was helped by Bilal Powell gashing the 49ers defense and the fact that he was playing the 49ers. Miami will not be nearly as easy to gash by Powell or Forte (if he plays). The Dolphins often don’t look good, but they manage to get the job done in the end. However, there is no telling how the Dolphins will look without Ryan Tannehill. His back-up, Matt Moore, did a decent job in relief last week, but the team also didn’t ask him to do much. This week he’ll have to do more. There is not enough known about Petty yet, but Moore was the team MVP for the Dolphins a few years ago—so we know he can play. Whether he will be able to get on track Saturday night against the Jets is anyone’s guess—more because you can’t count on the Jets defense to show up. This one will likely end up being close, but not close enough to cover the spread. 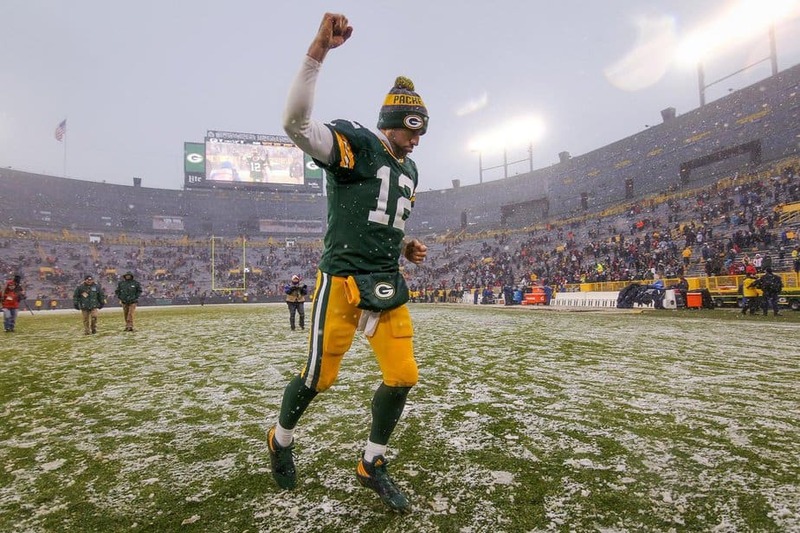 The performance Aaron Rodgers put on last week against the Seattle Seahawks will likely encourage many to put money down on the Packers. But the Bears haven’t been too bad under Barkley. He nearly mounted a nice comeback against the Titans and gave the Detroit Lions all they could handle. The weather helped against the 49ers, but so did the running game and defense. Green Bay’s defense limited the Houston Texans and Philadelphia Eagles offenses—but that isn’t much of an accomplishment. They dominated the Seattle Seahawks but also received a lot of help from Seattle’s receivers (via some tipped passes). The Packers offense is finally clicking as fans expect it to, and it is not hard to see it do so again against the Bears. However, there is one thing that can stop them—Matt Barkley. If he can get the Bears offense to move the ball, Rodgers may not get the time he needs to work his magic. Just don’t count on him to do so. The Packers will cover this one with ease. The Texans got a nice boost of confidence with a key win over the Indianapolis Colts last week, but to win the division they still have to keep winning games. While the Jaguars have struggled all season on offense, they are capable of explosive play, and they did make the Texans earn their win over them earlier this season. The Texans offense may be able to get away with focusing on the run and kicking field goals against the Jaguars. Jacksonville’s defense is not very good against the run but isn’t bad against the pass. Last time they held Osweiler to 99 yards and two touchdowns, but the running game was good for 181 yards. It certainly didn’t hurt that Kareem Jackson returned an interception for a touchdown on Jacksonville’s opening drive. Houston will need another stellar game from its defense and for Osweiler to limit his mistakes. If they can do that, they will win, but don’t count on the spread being covered. The NFL can flex less competitive games out of prime-time slots, but if only poor teams could be flexed out of the schedule. There just isn’t anything good or redeeming that can be said about the Cleveland Browns. Robert Griffin III flopped in his return, but if it was rust from only playing in his second game in two seasons, there could be hope for the Browns. Very little hope, but hope nonetheless. However, Buffalo will be looking to do whatever they can to keep their very thin playoff hopes alive. That will probably mean running the ball for most of the game with either LeSean McCoy, Tyrod Taylor, or Mike Gillislee. They have one of the best running games in the league, and the Browns have one of the worst run defenses. They’ll pass just to keep the Browns defense honest, but the Bills will run away with this one (and have the spread covered by halftime). For the first time in a month, Carson Wentz did enough with the Eagles offense to generate more than 15 points (22). It still wasn’t enough to win, but it was better than they had done in weeks. Their defense did a good job of limiting Kirk Cousins to just 234 yards (with 80-yards coming on one play), and they will have to have another stellar day against Joe Flacco if they want to have a chance to beat the Ravens. It is entirely possible that the Eagles defense could do just that, but they would have to do so for the entire game. 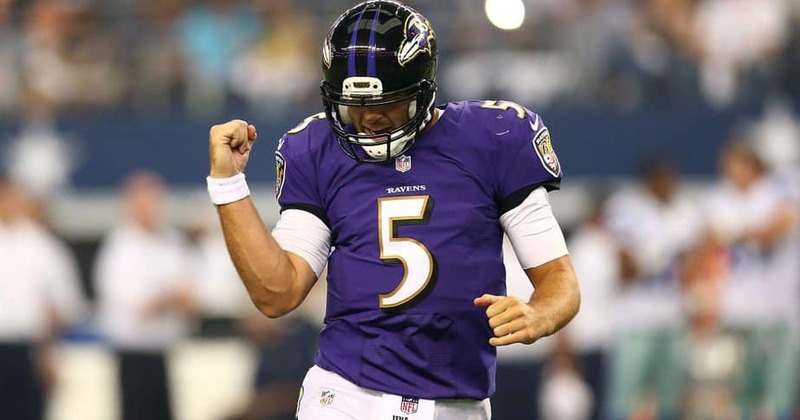 As anyone that watched Monday night’s game between the Ravens and Patriots knows, Flacco and the Ravens offense can strike quickly whenever a window opens. If the Eagles offense was any good, it would be possible to see their defense playing a complete game against the Ravens, but the lack of a running game and Wentz’s inexperience have been too much for them to overcome this season. The first half will be close, but the Ravens will pull away in the second half and win by ten. If Tennessee is going to make it to the postseason, they will have a very tough road to get there. They managed to get by the Denver Broncos, but can they get by the Kansas City Chiefs? A team many think could be the AFC rep in the Super Bowl? To do so, they will have to get DeMarco Murray going early like they did in Denver. It wouldn’t hurt if Marcus Mariota could get in a few good runs as well. More importantly, Mariota needs to connect on more than six pass attempts—without throwing any to Eric Berry. The Chiefs do tend to give up a fair amount of offense (27th overall; 27th against the run and 18th against the pass), but they are stingy where it matters most—points (19.6/game). Kansas City will not make it easy of course, but it will be interesting to see how much of an impact the loss of inside linebacker Derrick Johnson has. The loss may not matter much (if at all) if Alex Smith can take advantage of the Titans 31st ranked pass defense. Mariota and Murray will eat up a lot of clock and keep Smith off the field, but Smith will not need much time to connect with Travis Kelce and Tyreek Hill against the Titans secondary. Look for this one to be high scoring and for the Titans to win—if they win time of possession (so don’t look for the spread to be covered). The New York Giants are getting a lot of well-deserved credit for knocking the Dallas Cowboys down a peg, but one fact remains—their offense is terrible. Calling their running game a joke is being generous. Eli Manning is capable of doing great things with the passing game, but with Darius Slay likely focusing on Odell Beckham Jr. all day that is not going to be easy. However, the Lions—unlike the Cowboys—don’t have a running game that the Giants will have to respect. With Matthew Stafford already dealing with a banged up hand, the Lions passing game is likely going to have some issues. If Stafford’s hand doesn’t bug him too much, the Lions should win this one—but don’t count on it. The front four of the Giants will be riding a high after proving Dak Prescott is a rookie and will love to make Stafford look bad. Look for New York to win this one by seven. 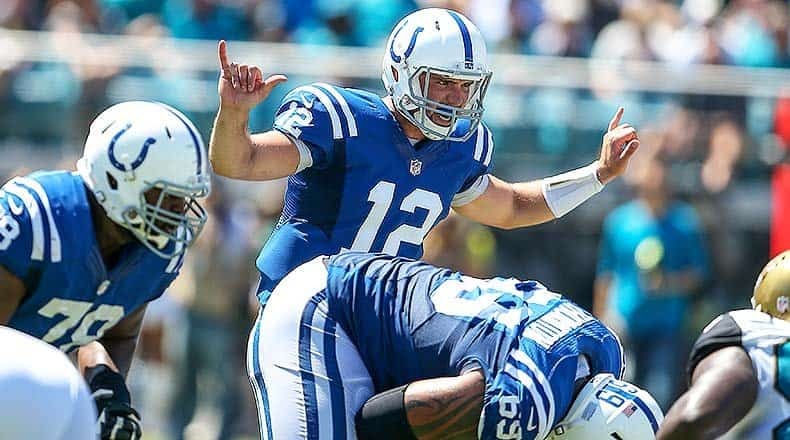 With the loss to Houston last week, the Colts are pretty much out of the playoff race; not mathematically, but their road is much tougher than Houston’s or Tennessee’s. Minnesota, on the other hand, is still in the thick of the race for the No. 6 seed in the NFC—but they can’t afford to lose another game if they want to make it in. Indianapolis has put four guys on IR this week. This could either be because these guys couldn’t return even if they make the playoffs or because the team is thinking they might as well give some practice squad players a shot. Practical? Maybe. Giving up? Eh—unlikely but possible. Even if the Colts were at full strength, it is doubtful their offense could handle the Vikings defense. As bad as Minnesota’s offense is, Sam Bradford will probably not find it too hard to get something going against the Colts secondary. It will not be much, but probably enough to cover the spread. After the four-game losing streak, the Steelers probably didn’t expect to win the division, but with Baltimore losing to New England last Monday night the AFC North is theirs for the taking. The defense is still not great, but it has improved over the course of the season. However, the Bengals offense is not what it once was under Hue Jackson and without A.J. Green. They have been able to get more out of Jeremy Hill lately, but the passing game has suffered a little with no clear-cut, go-to man. Ben Roethlisberger has struggled recently, but Le’Veon Bell has more than made up for it. Over the last four games, Roethlisberger has thrown five touchdown passes and four interceptions while Bell has averaged over 200 all-purpose yards a game over the same stretch (including 298 against Buffalo last week). Even if Andy Dalton has a good day and Roethlisberger struggles, Pittsburgh should have no trouble covering a three-point spread. Both teams will likely be mathematically eliminated this weekend, win or lose, which will make the winner of this one the team with the most pride. Who wants to win as much as they can and who will mail it in since they are out of it? Arizona has struggled to find some consistency all season on both sides of the ball and sometimes on special teams. Last week wasn’t a great week for them (against Miami, lost 26-23) but it wasn’t a terrible game either. But this week they will be playing one of the best quarterbacks in the NFL in Drew Brees. Patrick Patterson will make it tough throw to one side of the field, but Brees is good enough to avoid him and take advantage of the rest of the secondary. Brees will have a little extra motivation to play well this week after going two weeks without a touchdown while throwing three picks in each game. Carson Palmer will have one of his better days, but expect Drew Brees to light the Cardinals up (no chance Arizona covers the spread). This one should be easy to call, but it isn’t. San Francisco has shown promise with Colin Kaepernick at the helm, but they still seem to fold in the second half. But then last week they stunk from beginning to end. Atlanta is still fighting for the NFC South title and to keep the tiebreaker over Tampa Bay (wins over common opponents) they need to beat San Francisco (who the Buccaneers beat in Week 7). 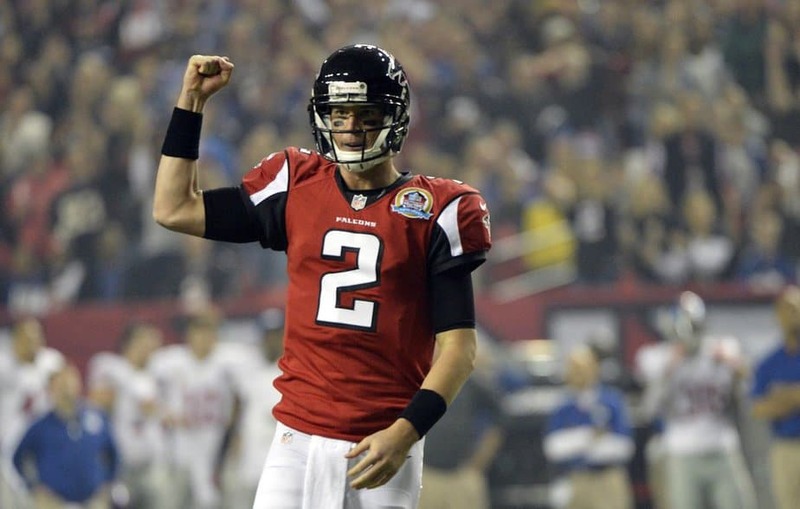 However, there is a chance they may have to play without Julio Jones and Mohamed Sanu. Taylor Gabriel, Austin Hooper, and Jacob Tamme have had their moments, but covering them is much easier than covering Jones and Sanu. However, the Falcons may be better off forgetting about the passing game this week and just letting Tevin Coleman and Devonta Freeman run wild over the worst run defense in the league. Atlanta’s defense is not strong either, so if Colin Kaepernick goes nuts, the 49ers could make a game of it—but that is unlikely. The Falcons may have trouble covering the spread, but they should. The Denver Broncos had little trouble with the Patriots the last time these two faced off, but this team is different. Trevor Siemian’s Broncos can’t run the ball and the passing game is barely okay on a good day. It is not hard to see the Patriot’s defense having little if any, trouble handling the Broncos offense. But what about the Patriot’s offense? The Patriots will still be without Rob Gronkowski, but losing him may actually be a good thing. Defenses have no idea who to focus on. Do they need to be more concerned about Malcolm Mitchell, Chris Hogan, James White, Dion Lewis, LeGarrette Blount, or Martellus Bennett? Tom Brady seems to have a knack for knowing who the defense is going to slack off againt. As long as the offensive line can kee Von Miller off of him, New England covers this one easily. The San Diego Chargers have to be one of the most frustrating teams in the NFL. They are capable of playing well like they did the first time they played the Broncos, when they played the Falcons, and in their first meeting with the Raiders (even though they lost). But they are just as capable of stinking up the field like they did against the Dolphins and the Panthers. Losing Melvin Gordon could be the deciding factor. He has been a key component to the success of the Chargers offense this season. It remains to be seen if Kenneth Farrow will be able to replace his production. Not enough is known about the undrafted rookie. But after 14-years of seeing their season end in Week 17, the Raiders could lock up a spot in the playoffs with a win over the Chargers. So—yes, these guys are going to come out motivated and primed for success. Carr is going to want to rebound from the terrible game he had against the Chiefs and prove he is healthy enough to play well (or his pinkie is). Derek Carr wants to get his team to the postseason. He is going to play like a man possessed. Phillip Rivers will have a better day as well, but it will not be nearly enough to matter as the Raiders easily cover the spread. This is going to be the game of the week. Can Jameis Winston take advantage of the weak Dallas secondary? He’s played well during the Bucs five-game winning streak, but he has not been the deciding factor. It’s been the Tampa Bay defense shutting down some of the best quarterbacks in the game (Drew Brees, Phillip Rivers, Russell Wilson, Jay Cutler, and Alex Smith) by picking them off a total of ten times and only allowing four touchdown passes. Can Dak Prescott rebound from last week’s bad game and shut the Tony Romo fans up? It’s not going to be an easy defense to rebound against. 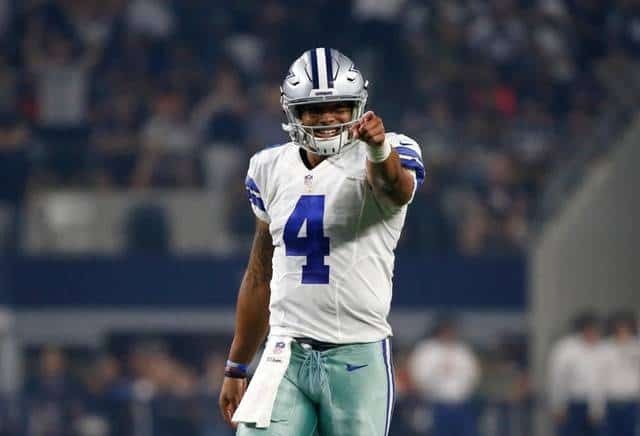 But if Ezekiel Elliot can get the ball moving early and force the Buccaneers to commit more to stop him, that could be the advantage Prescott needs to get the passing game going. Where this could get interesting is with Tampa Bay’s run game. Doug Martin has battled injuries this season, but in the seven games he’s played in, he hasn’t had a 100-yard rushing game and only one 100+ all-purpose yards day. Dallas has a good enough defense to shut the running game down which will make getting the passing game going early vital for the Bucs to win. If you take into consideration how the Cowboys have played all season, a seven-point spread is warranted. But based off of the last few weeks, it’s a little surprising it’s as big as it is. Expect Dallas to win, but not to cover the spread. Washington is going to be in a strange place this weekend. They are going to be hoping their hated rival, the Dallas Cowboys win. That way the current holder of the No. 6 seed in the NFC South, the Buccaneers, will fall to 8-6. So, when they beat the Carolina Panthers, they will own a half-game lead over the Bucs for the last playoff spot. Some of Carolina’s playmakers will probably step it up a notch because they want to beat their old teammate, Redskins defensive back Josh Norman. But with how the Panthers have looked the last couple weeks, it’s hard to imagine they will keep it up for a whole game. Kirk Cousins has played well for most of the season, but the best way he can prove he deserves a big-money deal in the off-season is to get his team back to the playoffs. That, and he has to continue to light defenses up. Carolina’s is nothing like it was last year, but whenever you can beat a team that went to the Super Bowl last season–it’s a good thing. Cousins should have no trouble picking apart the Panthers secondary. Cam Newton will keep it close during the first half, but Washington will blow them out in the second (covering the spread early).